Our pies are a double-crusted pastry encapsulating an abundant savory filling of Beef, Lamb, Pork, Chicken or Vegetables. The crust balances flavor and strength. The filling has just enough sauce to merge the pie into the perfect handheld “meal”. It is not a runny pot-pie with sparse ingredients - meat is our main ingredient. Our pies typically have 75-90% meat or chicken. NO FORK NEEDED!!!! The less experienced pie eaters might need a napkin. We source only the highest quality ingredients, No Artificial Flavorings or Preservatives. We seek produce and meats that use sustainable practices, as close to home as possible. We use fresh ingredients, avoiding highly processed foods, with only natural fats and oils; olive oil and European style butter. The flaky pastry is carefully crafted with real butter. 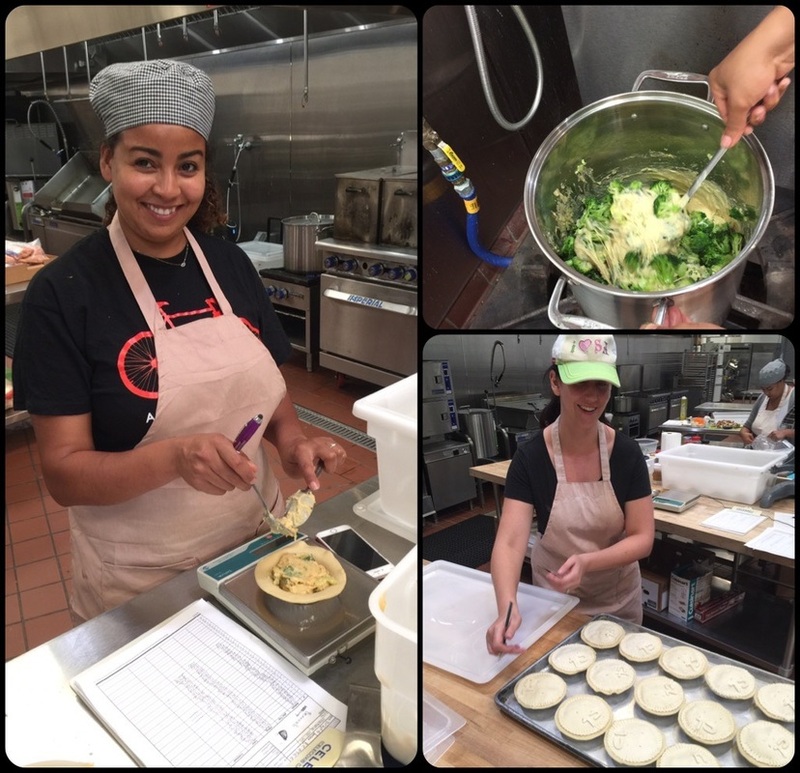 Our Pies are a 1/2 lb of natural goodness, a wholesome meal to have at home, with salad, fries or vegetables. Ketchup or gravy are not necessary for you to enjoy our pies. The crusts are designed to optimize flavor and texture, complementing the variety of savory fillings. 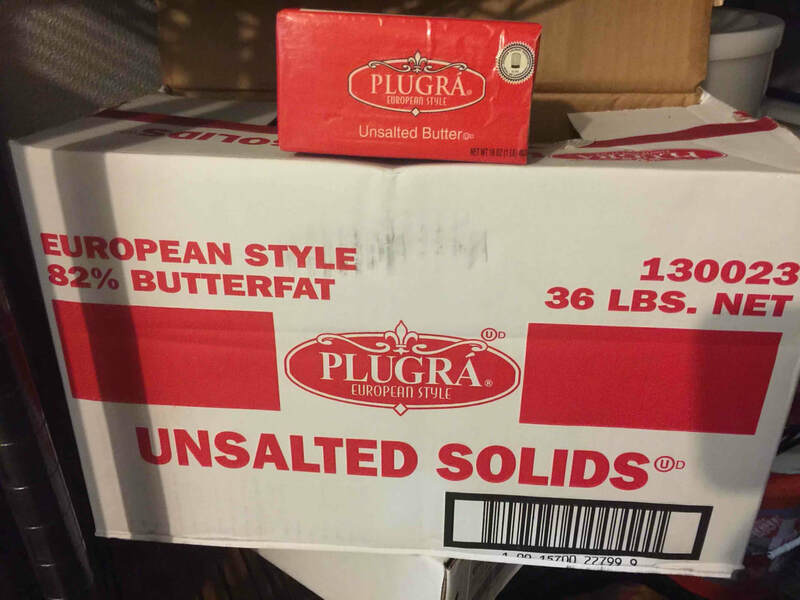 Our Ingredients are Real; European-style butter, water, salt and King Arthur Flours (No GMO). Top Crust :- An Authentic French Puff Pastry. We employ the detrempe/butter-block method, with the pastry being rolled at least 7 times for roughly 796 layers. Bottom Crust:- A Hybrid Pastry. A higher bread flour content (higher protein) gives the pie it's necessary strength to hold the generous filling. In search of the ideal taste, we use natural ingredients and a cooking process that optimizes their flavor. We prefer local, organic products. Flavor drives our sourcing decisions. Most chickens are bleach processed. We use only Petaluma Farms Organic Chicken (Rocky) - air chilled - no antibiotics - Non GMO -free range - no hormones or steroids - vegetarian diet - free range. We use natural lamb and pork (no hormones or antibiotics). Our ground beef is from Five Dot Ranch (grass fed and hormone free). These natural flavors are enhanced with fresh garden herbs and a selection of spices reflecting our world travel experiences. We love wine and believe if the the wine is great to drink, it adds to the flavor of food. To this end we use various White and Red Wines, Vermouth and Marsala to enhance the natural flavors. Cheese we use a combination of Dubliner Cheddar, Roth Dairy White Cheddar and an Austrian Gruyere. We find it is the attention to the small things, from the type of salt to how and where ingredients are raised and harvested, that make our our handheld pies special. Cheese we use a combination of Dubliner Cheddar, Roth Dairy White Cheddar and an Austrian Gruyere.